If you don't want to worry about reading charts and placing trades - NO PROBLEM. Let us do that for you! Our full-service Trading Strategies are listed below. This Trading Strategy highlight’s Rob’s unique strategy that has no preference to market direction, allowing it to yield consistent, reasonable profits regardless of current market conditions. The trades are all fixed risk, average three to four weeks in length, can be done in retirement accounts and is ideal for accounts of $5k or larger. Members receive an email or text alert whenever a new trade is initiated or closed out. An open trade record is maintained for all open trades. Prices are updated daily and the profit/loss for every open trade is calculated based on current prices. A closed trade record is maintained for all closed trades. 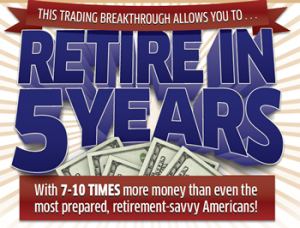 Members can get started with a $5,000 trading account. Most brokerage houses allow trading the Inner Circle trade recommendations in an IRA/Retirement account like we do at Hughes Optioneering. 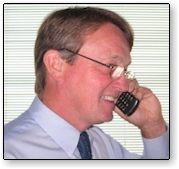 Members receive an email or text alert whenever a new trade is initiated or closed out. An open trade record is maintained for all open trades. Prices are updated daily and the profit/loss for every open trade is calculated based on current prices. A closed trade record is maintained for all closed trades. Members can get started with a $5,000 trading account. Most brokerage houses allow trading the Weekly Option trade recommendations in an IRA/Retirement account like we do at Hughes Optioneering. This Trading Strategy trades both monthly and weekly options, looking to capture swift movements in a stock or index resulting from a news event release. It is a very fast paced Trading Strategy that has between 2-3 trades a week and can be traded with as little as $5,000 in an account, but seems best suited for a $10,000 account and higher. Subscribers are able to allocate whatever amount they’re comfortable risking. This system can also be traded with an IRA or 401K, allowing access to money that may or may not be getting the desired returns. 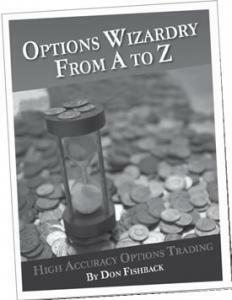 This Trading Strategy trades options with monthly expirations. A typical month will have 4 to 6 trade alerts with an average trade lasting 4 to 5 weeks. Although it can be traded with as little as $5,000 in an account, it seems better suited for a $10,000 account and higher. Subscribers are able to allocate whatever amount they’re comfortable risking. This system can also be traded with an IRA or 401K, allowing access to money that may or may not be getting the desired returns. This Trading Strategy trades both monthly and weekly options on the Nasdaq 100 QQQ. Trade signals are generated from 30-minute, 60-minute and daily charts with 2-3 trades per week. MERIT QQQ can be traded with as little as $5,000 in an account. This system can also be traded with an IRA or 401K, allowing access to money that may or may not be getting the desired returns. This Trading Strategy trades debit spreads on options that expire every month. An average trade is 6 to 8 weeks. This service can be traded in accounts of $5,000 and higher. Subscribers are able to allocate whatever amount they’re comfortable risking. This system can also be traded with an IRA or 401K, allowing access to money that may or may not be getting the desired returns. This Trading Strategy trades both monthly and weekly options, looking to capture swift movements in a stock or index resulting from a news event release. It is a very fast paced Trading Strategy that has 2 to 3 trades a week and can be traded with as little as $5,000 in an account, but seems best suited for a $10,000 account and higher. Subscribers are able to allocate whatever amount they’re comfortable risking. This system can also be traded with an IRA or 401K, allowing access to money that may or may not be getting the desired returns. Trade Alerts are generated using 60-minute charts. Auto trading is available. This Trading Strategy trades weekly options. There are 2 to 3 trade alerts per week and an average trade will last 1 to 2 days. The service can be traded with as little as $5,000 in an account, but seems best suited for a $10,000 account and higher. Subscribers are able to allocate whatever amount they’re comfortable risking. This system can also be traded with an IRA or 401K, allowing access to money that may or may not be getting the desired returns. Trade Alerts are generated using 30-minute charts. Auto trading is available. This Trading Strategy trades weekly options, looking to capture swift movements in a stock or index resulting from a news event release. It is a very fast paced Trading Strategy that has between 2-3 trades a week and can be traded with as little as $5,000 in an account, but seems best suited for a $10,000 account and higher. Subscribers are able to allocate whatever amount they’re comfortable risking. This system can also be traded with an IRA or 401K, allowing access to money that may or may not be getting the desired returns. The trade alerts are in real time, and they are the exact same trades that Chris executes for his own account. Auto trading is available. 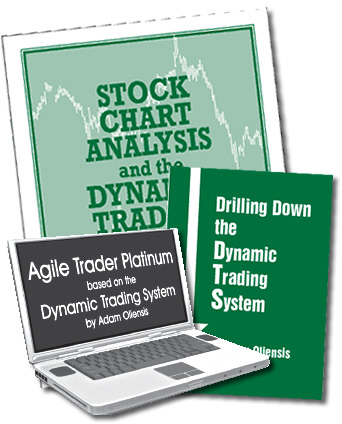 Designed to address topics such as technical analysis, trading psychology, trade management and risk assessment. A highly interactive instructor expects the class to ask questions and call out live charts to review. Learn to gain confidence to trade successfully under any market condition by actively following a trading plan, think in probabilities and take action to cut losses short and let profits run. Learn to block out confusing market noise and squeeze profits from the market. Each class is designed to strengthen one’s trading psychology through discussions of trade management, position sizing and trade journal keeping. Long-term success in the markets requires an understanding of investing principles and the emotional discipline to ride out the storms. 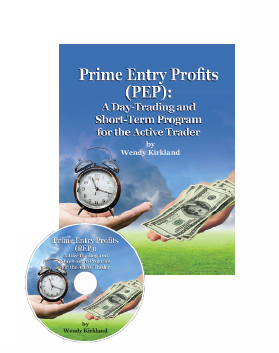 See how Wendy’s P3, T3, Price Surge system and the Quintessential QQQ’s systems make it possible to trade all markets. Understand how regularly occurring calendar and other significant time-based events create predictable and profitable trading opportunities. Learn to predict the market tides affecting all boats and put the surges and reversals to work for you and not against you. 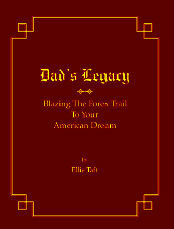 Learn how to protect your investments with a mix of spread trades and collar trade strategies. 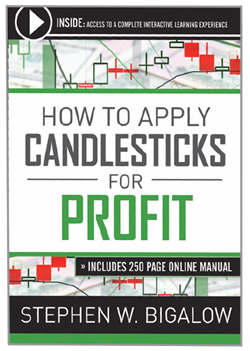 Using these strategies is like having the market pay you to dollar cost average into your positions, increasing your percentage returns over time. See unique twists on these strategies which can be used inside a retirement account to dramatically improve results and stabilize cash flow. This Trading Strategy trades both monthly and weekly options. Trade Alerts are generated using daily charts with 4 to 8 trades per month. 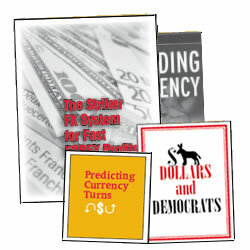 The rules for this system are taught in the book “Six-Figure Slide System” by Rob Abels. This service can be traded with as little as $5,000 in an account. Subscribers are able to allocate whatever amount they’re comfortable risking. This system can also be traded with an IRA or 401K, allowing access to money that may or may not be getting the desired returns. The trade alerts are delivered in real time. Auto trading is available.